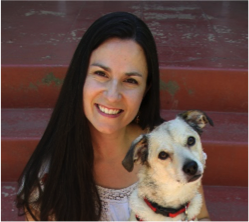 Karly Noel is RedRover’s Director of Education. Karly holds a Bachelor’s degree in Child Development and a Master’s degree in Education from California State University, Sacramento. Karly is a Certified Humane Education Specialist (CHES) and is on the Board of Directors of the Association of Professional Humane Educators (APHE) and First Love Yourself, Inc. (FLY) youth empowerment organization. She lives in Sacramento, CA with her husband, young son, a cat and two dogs. Participants will learn the unique question strategies from RedRover Readers, a social and emotional learning program that helps elementary school students practice positive relationship skills like perspective taking and empathy, in the context of reading and discussing specially selected high-quality, illustrated children's books. We will discover how this type of questioning promotes executive functioning and helps activate and integrate various parts of a student’s brain in ways that support self-regulation, behavior, self-awareness, care for others, decision-making and connectedness.